Gambling has become more accessible than ever, with betting shops boasting machines that consume hundreds of pounds in minutes. Some employees are turning to workplace fraud to fund their habit, so what can employers do to protect themselves against this risk? Forensic investigations expert Andrew Durant explains. 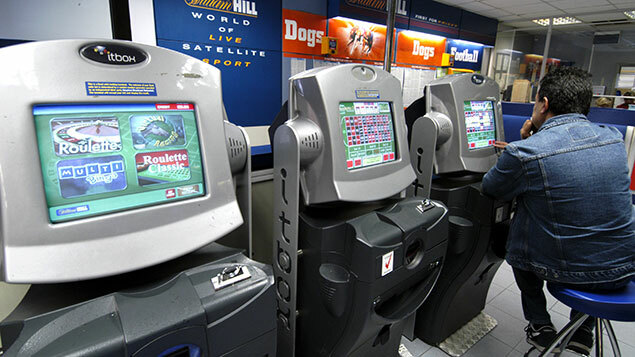 A recently leaked confidential report for the betting industry says that potential new rules to encourage responsible gambling in the UK would lead to closure of half of the country’s bookmakers and the loss of around 20,000 jobs. The report follows widespread concerns about the controversial use, and misuse, of Fixed Odds Betting Terminals (FOBTs) in betting shops that have been shown to be one of the major causes for problem gambling behaviour. They allow customers to place wagers as high as £100 every twenty seconds. In fact, it was reported this month that an accountant stole £350,000 from a technology company where she worked to fund her online poker habit. She narrowly avoided prison after the court heard she had submitted more than 400 fake invoices to raise money to gamble. And in 2015, quantity surveyor Jason Grant was jailed for stealing a six-figure sum from his employers to fund a chronic gambling addiction. In order to fund his habit, he purchased power tools on his company’s account, charging them to his construction projects and selling them on. He would keep the proceeds from the sales and wager them on online roulette sites. The fraud took place over the course of three years and only came to light when a colleague spotted that his project spend was higher than other project managers’. Following a formal audit and investigation the full extent of the deception came to light. The scale of the potential problem should not be underestimated. A recent study published by the University of Bristol highlighted that as many as 25% of men aged between 18 and 24 had gambling issues varying in degrees of severity. So how can companies protect themselves from these risks? While they will never be able to eliminate the risk of fraud completely, a few simple steps will go a long way to reduce their exposure to it. Firstly, employers can remove temptation at the workplace by restricting employees’ access to online gambling platforms, including the use of online betting websites and applications on company equipment (such as mobile phones and computers). They should also set clear policies regarding gambling while at work, regardless of whether employees are using their own smart phone or company equipment. In addition, companies must ensure that their financial controls are robust. Restricting the number of employees with signatory rights, requiring multiple signatories and ensuring that there is a clear divide between the person requesting a transaction and the person authorising a payment will reduce the opportunities for employees to commit fraud. Companies should also recognise that they have a duty of care to their employees and should monitor their behaviour. Just as drinking at lunchtime has become less prevalent due to a change in culture in the workplace, the same should apply to gambling. Employers should look out to see if staff are taking unexplained time off work, are increasingly under stress, or spend large amounts of time on the internet or their mobile phones. Similarly, it is crucial to encourage a culture where employees feel they are able to come forward if they have suspicions or concerns about the welfare of other members of staff. One case I worked on involved a financial controller who was pocketing customer receipts and adjusting the books to cover this up. The fraud took a while to come to light even though he went to the betting shop every day. His behaviour became more and more erratic, culminating in buying champagne for staff every Friday afternoon. Everybody knew he had a gambling habit and had access to company funds, but nobody thought to raise their concerns. As the government considers its response to the leaked report and other submissions, I would urge it to also consider the wider impact on society, in particular, given the links between problem gambling and workplace fraud. Remove employee access to internet gambling and betting websites through workplace systems. Monitor new technologies such as access to online betting platforms through work smart phones. Regularly screen staff that hold key financial positions to identify signs of debt (such as court judgments). Think carefully about the types of corporate entertainment provided for staff. This can often involve trips to various sporting events such as horse and dog racing, which can encourage gambling. Prominently display information and advice for potential problem gamblers. Ensure policies and disciplinary procedures clearly state that gambling at work is unacceptable and will be treated as a disciplinary matter. Keep a tight hold on the movement of the company’s money, including a requirement for multiple signatures on supplier cheques. Make sure there is a clear divide between those who input data and those who authorise payments. Formalise tendering processes to reduce the risk of bogus payments to suppliers or over-payments.